Bias Decor Ltd - Painter/Decorator based in Morley, West Yorkshire. 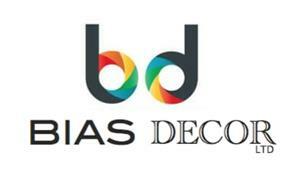 Bias Decor Ltd grew out of my own personal passion for high quality decorating techniques, beautiful interiors and a desire to see people make the most of their home, office or business premises. There was a space in the market for a company that delivered exceptional decorating work that goes above and beyond what traditional decorating firms offer. With that in mind, Bias Decor Ltd has been built on the principles of excellence. Our single aim is to elevate your property into the extraordinary.